Before I get too far, I should note that you can find my Periscope feed here, though Periscope deletes the videos after 24 hours, so you may not find this too helpful, unless you’d like to follow me for future broadcasts. For those not schooled in the great RideMax Roulette tradition, this is basically where I use a random-number generator to give me a list of attractions, which I then plug into RideMax. 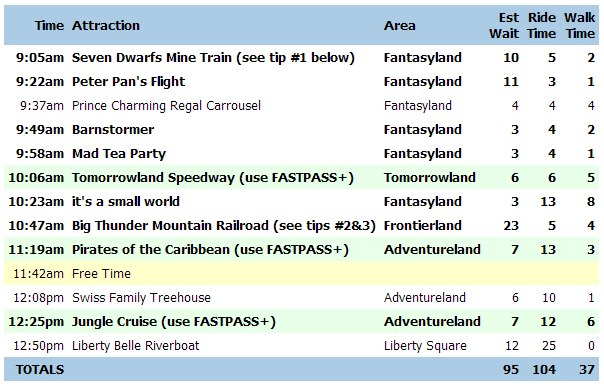 The software then spits out a game plan to cover those attractions, which I take to the park. 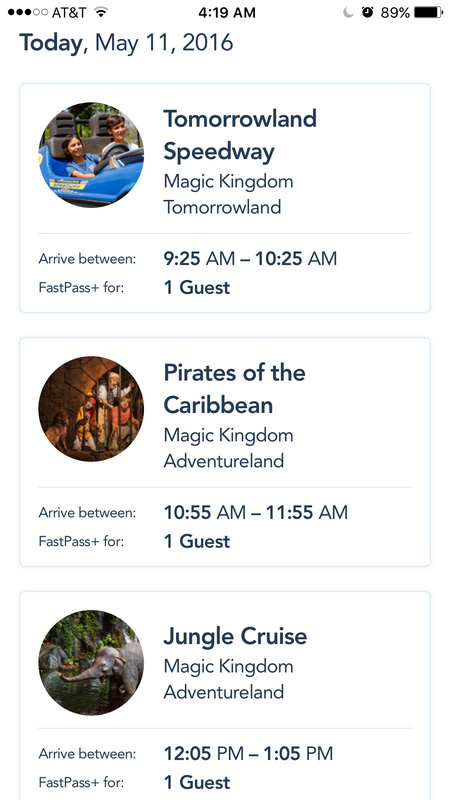 As a result of the limited FP+ availability, I settled on using FP+ for Pirates, the Tomorrowland Speedway, and Jungle Cruise. Fortunately, I was also able to line up my FP+ slots to match the plan, as shown below. I headed off to the park, plan in hand. …and here’s a pano of the line to get into the park, taken at 8:40am, just before I began the broadcast. 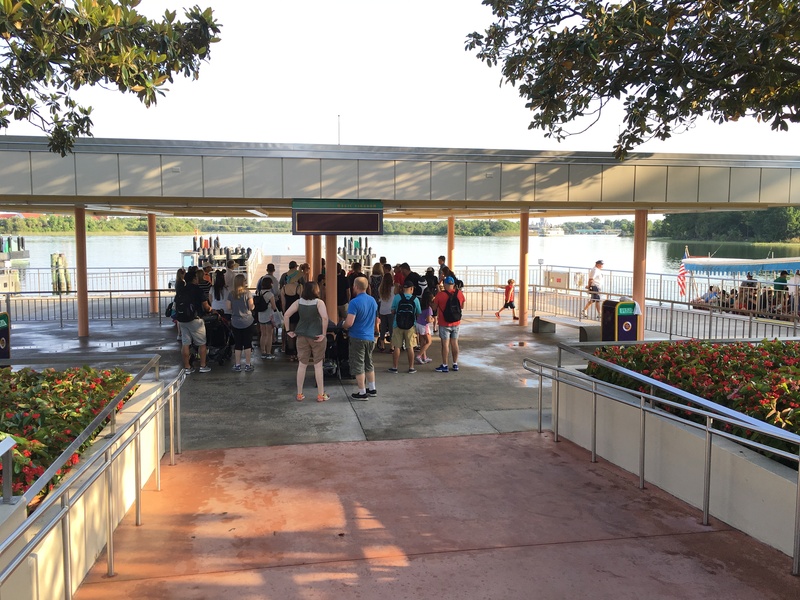 The ferry boat ride took WAY longer than I had expected, which is just one more reason you’ll want to make sure you arrive early, especially if you’re visiting the Mine Train first thing. Those who followed along on Periscope already know this, but I’ll just cut to the chase and let you know that the day went really well. Due to the park opening early and my beating the ten-minute estimate for Mine Train right at opening, I was ahead of schedule the rest of the day. The longest wait was for Big Thunder, at fifteen minutes, rather than the twenty-three estimate RideMax had given. It probably helped that I was something like twenty minutes ahead of the game by the time I arrived at the Big Thunder queue, but the posted wait as I exited the ride at about 10:45am was still “just” twenty minutes. Since Disney typically estimates on the high side, it’s likely I still would have beaten the RideMax estimate had I boarded closer to the time shown on the plan. The second-longest wait was for Peter Pan, at eleven minutes, or exactly what RideMax had predicted. All of the other wait times were pretty close to the RideMax estimates, though I was able to walk-on to the Barnstormer and the Treehouse. I used the “Free Time” on the plan for a lunch break, and after lunch I did call an audible, choosing to visit the Liberty Belle right after Lunch, rather than at the end of the day. This was due to the fact that I left Pecos Bill’s at about 11:50am, so the timing for the boat seemed good, as it would be departing in ten minutes. All in all, I considered the day very successful from a RideMax standpoint, and if you were one of the 800+ Periscope viewers who joined in to view the broadcast at some point, thanks for taking the time to follow along! 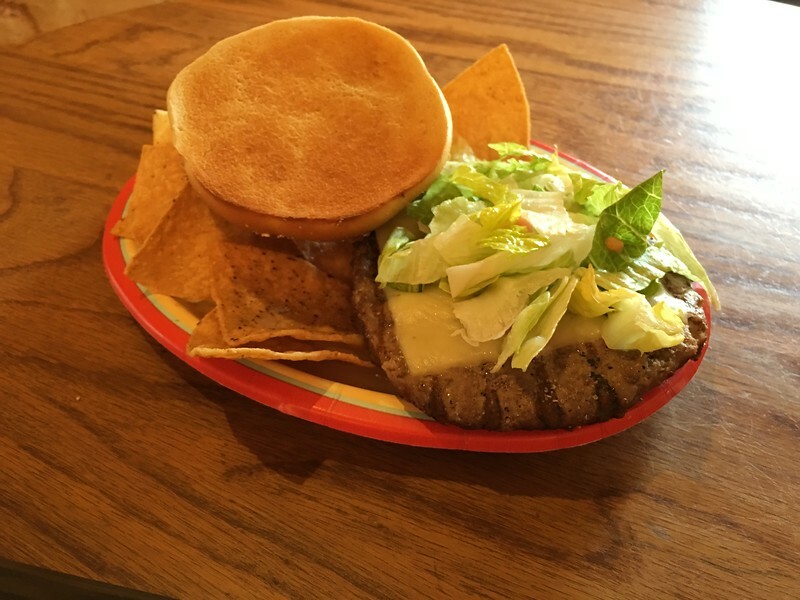 Before I wrap up today’s post, I did want to do a quick review of my lunch at Pecos Bill’s, since I didn’t “scope” that part of the day. Sorry for the poor iPhone pic, but I opted for the Southwest Burger. Disney lists this as “topped with Pepper Jack and served with a side of Tortilla Chips.” This clocks in at $13.99. 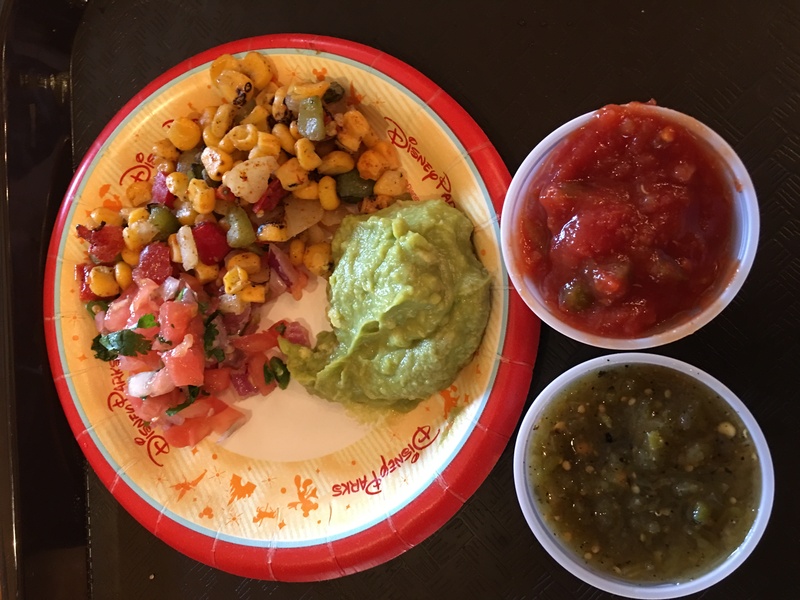 I also loaded up a small plate from the toppings bar, which gave me access to pico, corn salsa, and guacamole. I used the guacamole for both the chips and the burger. You may recall from a recent round of RideMax Roulette (scroll down about halfway through the linked post for the lunch recap) that I had the Fajitas last time, and I’ll get right to the point and let you know that I MUCH prefer the Fajitas to the Southwest Burger. The burger itself was nothing special — just a patty, the cheese, and some lettuce, all on an undersized bun. Access to the toppings bar helped the situation, but the chips accompanying the burger were thick and perhaps a bit old. If you’re going to eat tortilla chips, I much prefer thin and light to these heavy things. So if you do eat here, take my advice and get the Fajitas instead of the burger. The Fajitas are a dollar more than the burger, but that dish is worth the extra buck in my opinion. 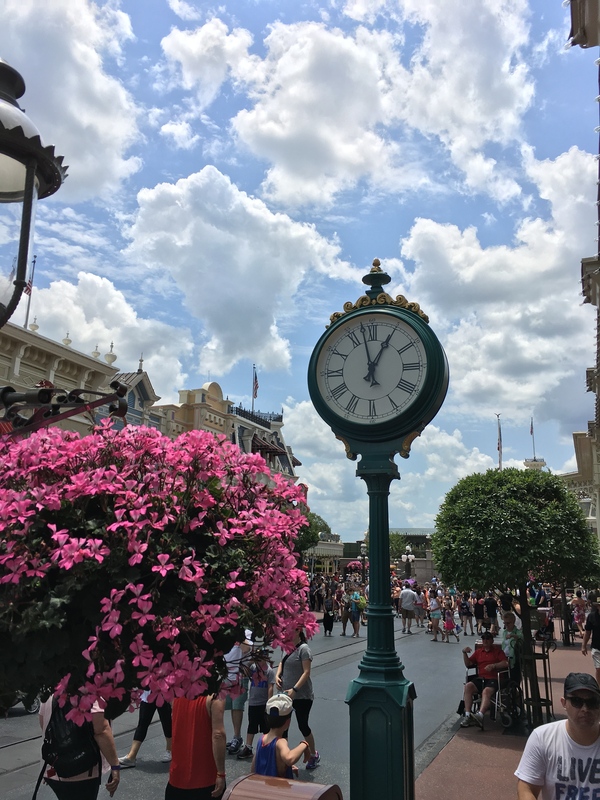 I had promoted my day on Periscope as “Twelve Attractions Before 2:00pm,” and as you can see, I was headed out of the park a good hour sooner than that. Thanks to everyone who participated on Periscope today, and if you’d like to follow along in the future, please add me to your “follow” list on Periscope. As always, if you’re planning a trip to Disneyland or Walt Disney World in the near future, be sure to check out RideMax. When will the August Disney World planning dates be released? Matt, expect August dates to be available in RideMax sometime next week. We’ve got a lot coming next week, including the August update, along with the addition of the new Jungle Book show at Animal Kingdom, the new Frozen attraction at Epcot, and at DCA, the new Frozen Musical.